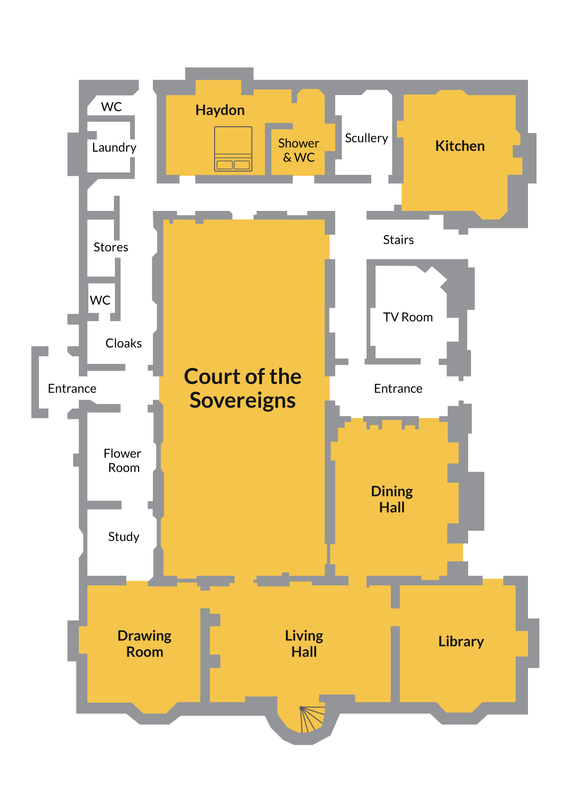 Cadhay is constructed around its central Court of the Sovereigns, overlooked by four carved images of the Tudor monarchs. 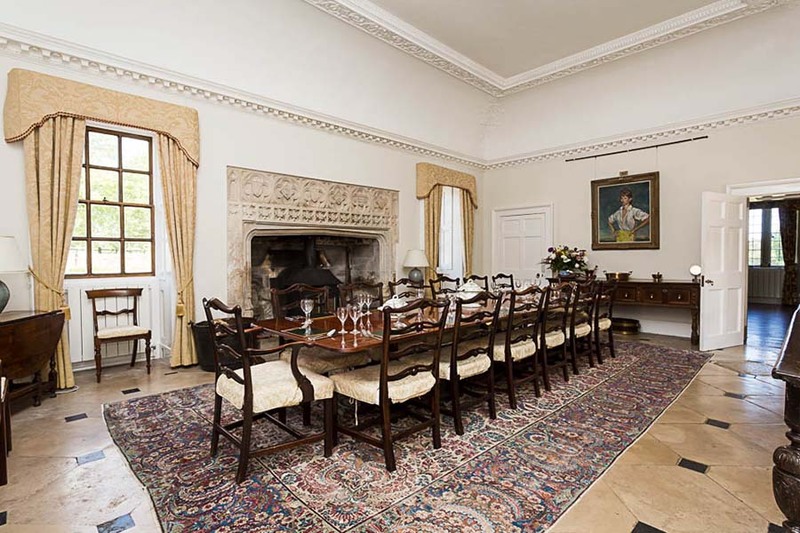 Georgian Dining Room - seating up to 22 for formal or informal meals in splendour. The Library - a place to gather, for the ultimate in comfort and enjoyment. Living Hall - the perfect setting for your pre-dinner drinks, a great place to meet, mingle and discuss. 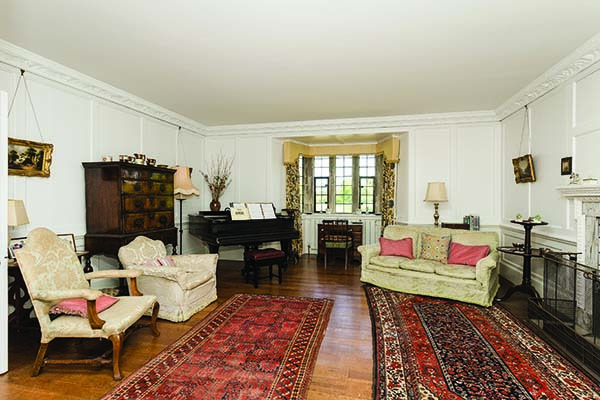 Drawing Room - With a Steinway grand piano for you to play. 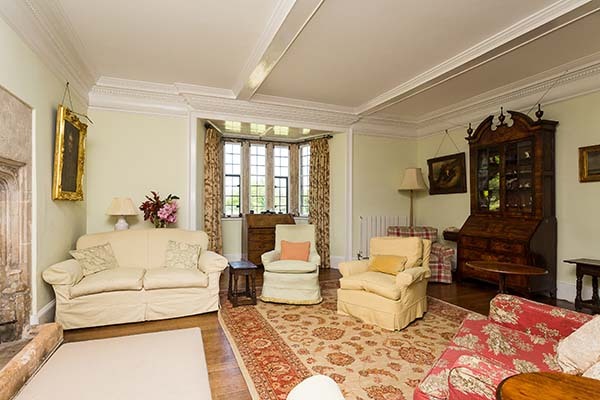 TV Room/Snug - Ideal for a quiet escape or a great space for young children. With it's AGA that radiates warmth and comfort all year round as well as an electric oven. There is also a Scullery with two dishwashers and a wonderful old fashioned Larder. Haydon - a luxurious twin or super king double, with adjacent walk in shower room. Great for accessibility. A practical space with washing facilities and iron. 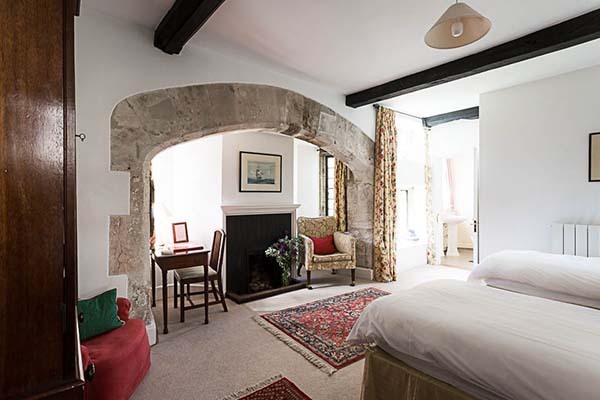 Twin or double bedroom with huge stone arch and fireplace and en-suite shower room and loo. Suitable for disabled access. With it’s AGA that radiates warmth and comfort all year round as well as an electric oven. 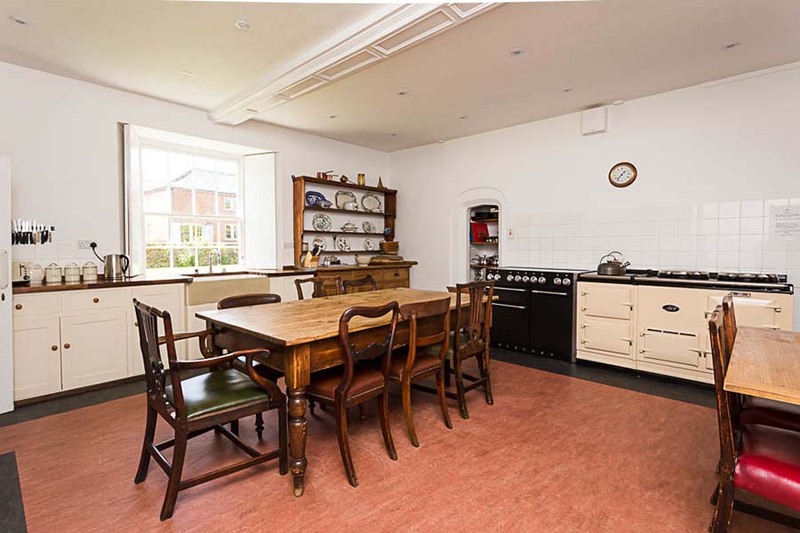 There is also a Scullery with two dishwashers and a wonderful old fashioned Larder. 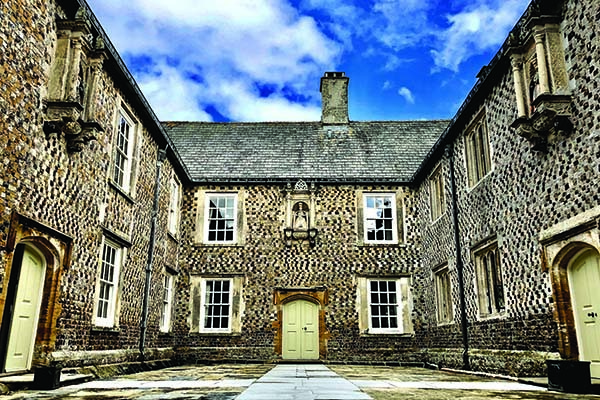 Stunning courtyard, for that real 'Wow' factor. During the summer there are large tables and benches for al fresco dining. 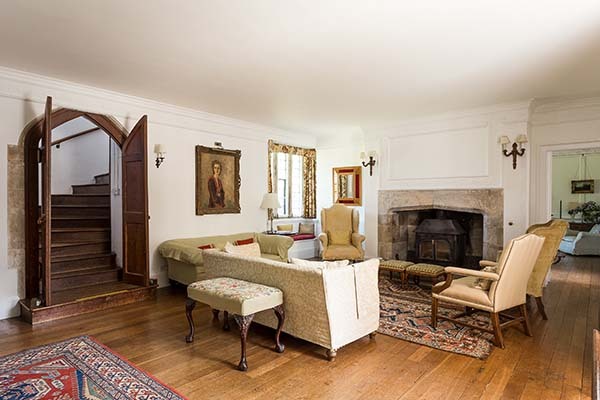 Grand Dining room with Georgian windows and ceiling, plus Tudor fireplace with a cosy woodburner. You can seat 14 at the main table or up to 22 (using extension table) for that special family (or friends) meal. With a Steinway grand piano for you to play. The perfect setting for your pre-dinner drinks, a great place to meet, mingle and discuss. A place to gather, for the ultimate in comfort and enjoyment.